Despite the dreary weather on October 7, those who came out to participate in the 5th Annual 5k run/walk were in high spirits! This year, the number of participants that came out to support Cristo Rey’s Food Access Programs went up a staggering 40%. Funds received from this event have such an impact on our Direct Assistance Programs and the generosity is felt all year long by those in need. 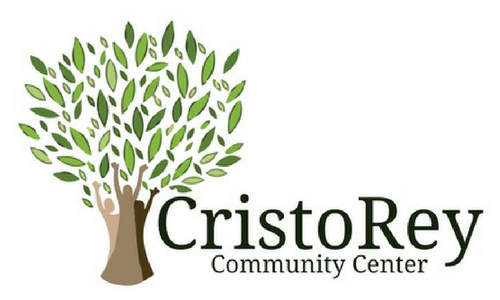 This race wouldn’t be possible without the help of our wonderful volunteers, participants, and sponsors dedicated to supporting Cristo Rey Community Center. As a thank you to those who came out, Creative Wellness donated their time and talent to warm the runners and walkers up by providing relaxing massages. Our race began in Old town as the enthusiastic and determined participants followed the Lansing River Trail for a 5k out and back. Pleasant scenery for all was enjoyed by runners and walkers as some pushed strollers and laughed alongside family members. Age was not a factor as participants as young as 9 months all the way up to 80 years old came out for a great cause. It was a real joy to watch us all come together and cross the finish line together with the shared goal of lending a helping hand. Thank you again to all those who came out to support us and a big thank you to our Sponsors: Blue Cross Blue Shield of Michigan, Blue Care Network, AF Group, Dean Transportation, McLaren Greater Lansing, CASE Credit Union, Maria & Leobardo Garcia, Foods for Living, Creative Wellness, and Granger for making this event such a success! Click here to view our Corporate Sponsors for our 2017 Run4Food 5k.